The Illinois High School Association would not be able to provide participation opportunities to over 400,000 high school students in IHSA sports and activities without the support of our corporate partners. We appreciate their dedication to high school students in Illinois! Country Financial and the IHSA have enjoyed a partnership that has existed for nearly half a century. The IHSA’s oldest partner is the presenting sponsor of IHSA State Final broadcasts on the IHSA TV Network and NFHS Network, as well as the IHSA Bass Fishing State Tournament. In addition, Country Financial is active in America’s Original March Madness, as the IHSA Boys & Girls Basketball Tournaments feature the County Three-Point Showdown throughout and Country Financial also served as the title sponsor of the Class 1A/2A Boys Basketball Tournament in 2018. Wilson Sporting Goods is the Official Ball provider o f the IHSA. Wilson provides the balls used in IHSA postseason tournaments for Badminton, Baseball, Basketball, Football, Soccer, Softball, Tennis, and Volleyball. For a list of the official Wilson ball used in each IHSA sport, click here. Caterpillar Inc. is vital to the IHSA Playing in Peoria in Boys Baskeball and a number of other sports and activities. Cat helps bring to life the basketball-fueled family fun fest known as the March Madness Experience at the IHSA Boys Basketball State Finals, while also annually sponsoring the IHSA All-State Academic Team, the highest honor bestowed by the IHSA on student-athletes. 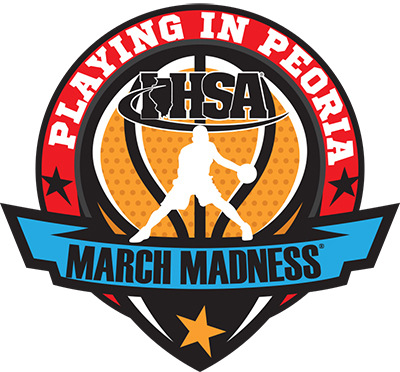 Since 1996, IHSA corporate sponsors have helped make the the March Madness Experience™ possible! 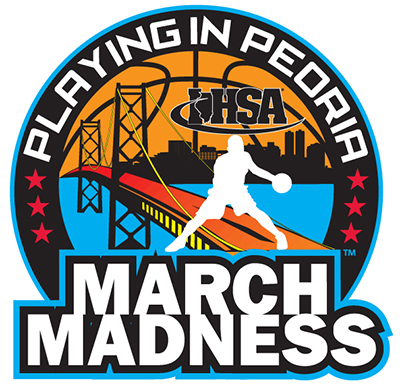 MME as its come to be known, is a family-oriented extravaganza of fun, interactive games, historical exhibits and good times, held in conjunction with the IHSA Boys Basketball State Finals in the exhibit halls at the Peoria Civic Center. MME is an integral part of America's Original March Madness, and we appreciate the sponsors who help make it happen! Wilson Sporting Goods serves as the Official Ball Provider of the IHSA, however, there are two IHSA sports that Wilson does not offer a ball for that the IHSA has aligned itself with other official ball partners. The IHSA is proud to have Champro Sports serve as the Official Ball of IHSA Lacrosse and Kap7 serve as the Official Ball of IHSA Water Polo! IHSA State Final events draw quite crowds, so community support is vital to hosting IHSA State Final events. The IHSA is proud to team-up with Convention & Visitors Bureau, or similar organizations, in communities throughout Illinois!